Who knew when we went through such tough times that our story would help others? 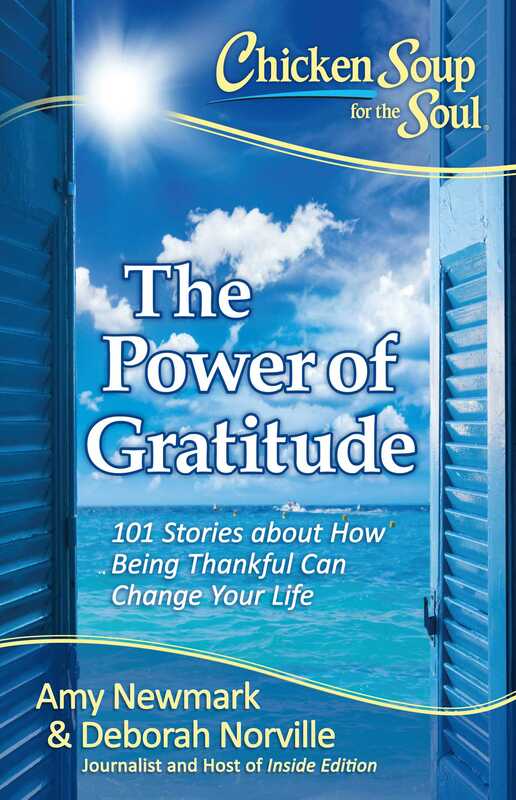 I always believed there must be a reason for the difficulties, and the book’s subtitle says it all: “Being thankful can change your life.” I agree! Barry says these stories are my sneaky way of writing my memoirs. I don’t know about that, but I do know I am incredibly honored to be a part of this series. It gives me the chance to take a look back at events that might have been stressful at the time, but that on reflection helped strengthen our family. While I am in no hurry to have grandchildren, if we are ever blessed with any I would love to play Uno and eat popcorn with them. And laugh. There will always be laughter. I don’t mind admitting that my core strength is not what it could be. She’d time me on that silly, wobbly thing and say, “Only 10 seconds left. You can do anything for 10 seconds.” That got me to thinking about time and our perception of it. A while back I was honored to visit my former workplace and teach a writing lesson. It was awesome seeing former students, meeting new ones. One of the assignments I gave them was to write for five minutes. Now some of these students freeze up if you ask them to write an essay. They are terrified to put pen to paper, yet some of them wrote a couple of sentences. Some of them wrote nearly a page. In five minutes! Was it polished writing? Of course not. I don’t care who’s writing, rough drafts are always that. There were gems in their sentences, though, to be mined later. I was impressed with what they accomplished and I hope they were too. Ten seconds is longer than you think. Five minutes? An eternity. So take those bits of time. Pull out your list of ideas and get started on just one. Maybe you’ll start stealing time from things that used to matter that don’t now. You know your time wasters better than I. Just never underestimate the value of 10 seconds. Hey, maybe we should all plank for 10. On second thought, I have some writing to do. Seriously, though, consider sharing one of your ten-second sentences with us. It doesn’t even have to be polished.